Speak again, Cordelia: "Chewy" seems to be the recent theme. "Chewy" seems to be the recent theme. 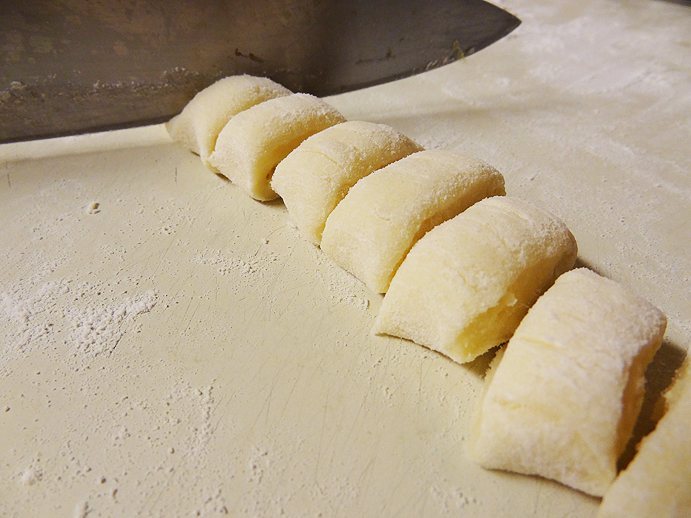 Some nights ago, I volunteered to make dinner and tried making gnocchi from scratch. Why gnocchi? To be honest, it was completely random. There was a copy of the Metro newspaper lying in my kitchen a few weeks ago, and while carelessly flipping through it, I came across this short recipe for "Annie's Gnocchi". I figured, why not? and cut the clip out. So I finally got around to putting the recipe to use this week. I actually had no idea what gnocchi tastes like; I've never had it, and I wasn't particularly interested in having it either (carbs...). But the idea of making your own pasta from scratch seemed kind of fun, so just decided to try it out. There's also the fact that I don't particularly like cooking. 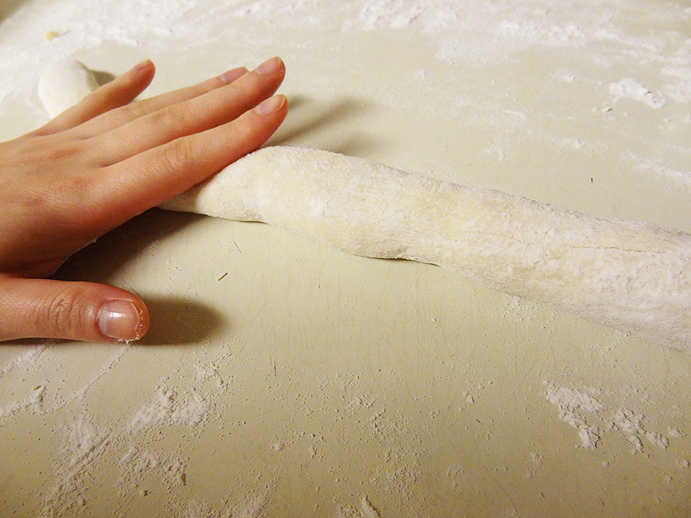 For baking, you measure and mix and knead, along with all the other stuff, in one short but productive session. Then you stick it in the oven and come back in however many minutes. What I don't like about cooking is stuff like, Simmer for 1 to 1 1/2 hours and stir occasionally. Which is what I did for the tomato meat sauce. It's annoying! Simmering for an hour and a half means you have to stand near the stove, for an hour and a half, so you can stir it every few minutes. What can you do in between those few minutes? Nothing! I tried to read while standing next to the stove, but I still don't like having to stop and look up from where I'm reading every few minutes, it disrupts my reading experience. Something else about cooking is that it's not precise like baking. Yes, I'm one of those people. If I'm going to read instructions, I want them to be specific. But I guess cooking itself mostly comes from experience and intuition, rather than memorizing measurements and reading recipes. After skimming the recipe, I basically realized that I didn't really need the recipe at all. 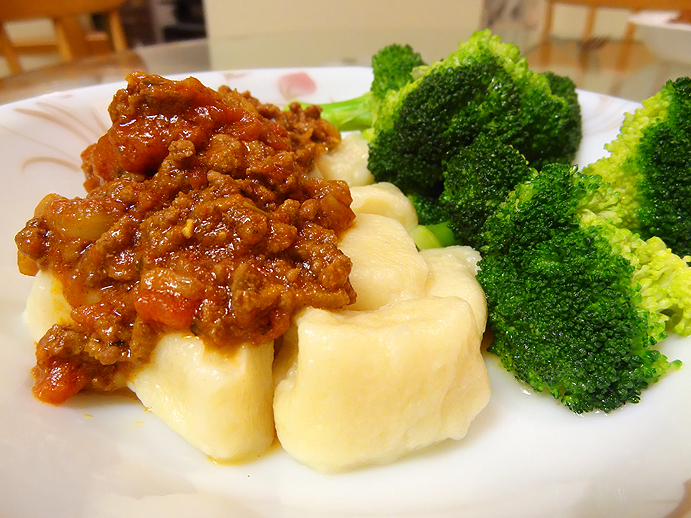 Like how I just kept adding flour because I felt the potato dough wasn't firm enough to be kneaded, or the tomato sauce wasn't thick enough so I added more beef and let it cook longer... or how the potatoes took nearly an hour to soften under boiling water. In any case, with additional broccoli on the side (veggies, my favourite part of any meal! 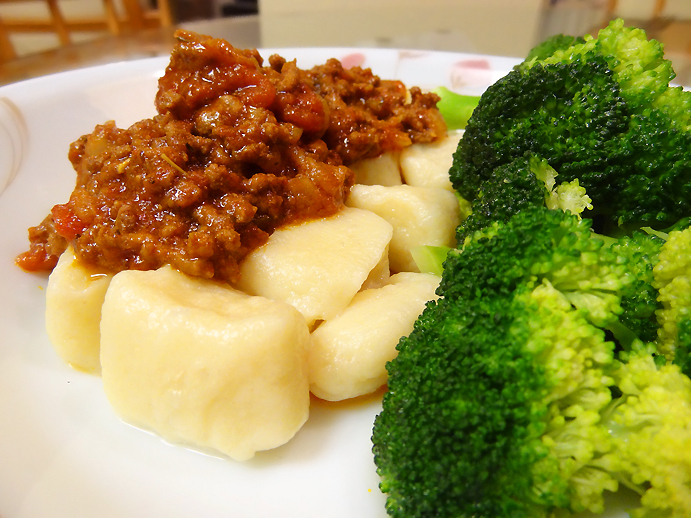 ), the gnocchi dish did, in fact, end up tasting quite good. I assume gnocchi is supposed to taste similar to any other sort of pasta-like dish--soft and slightly chewy. Sounds like success to me? Because the potatoes took so long to soften so I could mash them, we ended up having dinner a little later than usual. I felt bad for making my grandparents wait, but... well, authenticity aside, now I can say that I've had gnocchi before! 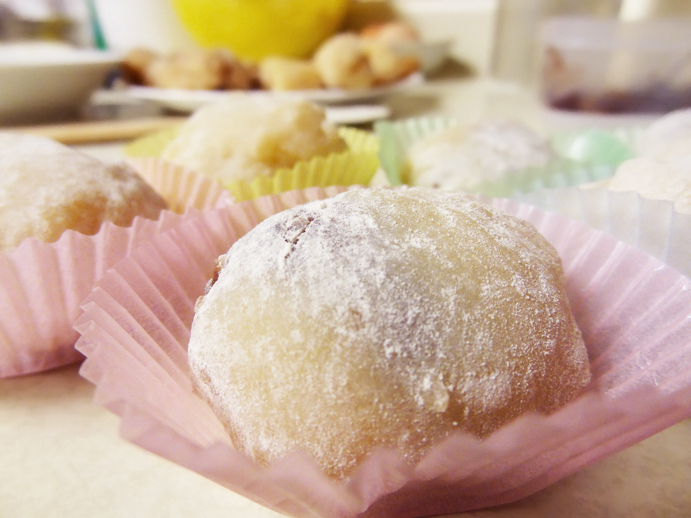 A few days after my attempt at gnocchi, I wanted to use up the remainder of red bean paste and rice flour, so I tried crafting them into (pseudo) daifuku. I can't say it looked very pleasing to the eye, and it was chewier than I would have wanted it to be, but still edible for the most part. Oh well, irrelevant to me! I don't eat much of what I make myself, so I'm not the one taking the risks. Hah! Wow congrats on homemade gnocchi! I have to say I don't really understand the appeal of it.. it's like eating a dough ball and the flavour of the sauce doesn't really penetrate... but you should ignore me. I'm just probably not very cultured. That's a good idea! There's no liquid involved with making the gnocchi itself, but I could boil the gnocchi with stock instead of water. A slice of cake is all you need. A little early, but Happy Chinese New Year!